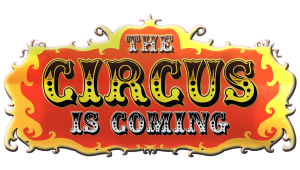 Main Street Holly Downtown Development Authority > Events > The Kelly Miller Circus is Coming to Holly! The Kelly Miller Circus is Coming to Holly! Ladies and gentlemen, boys and girls. . . Step right up! The CIRCUS is coming to Holly, Saturday & Sunday, August 11th & 12th. The Kelly Miller Circus, one of only a few traveling shows still in existence, will appear at the lot on the corner of North Holly and Quick Road (across from the Calvary United Methodist Church) on Saturday & Sunday, August 11th & 12th, performing shows at 2:00 p.m. and 4:30 p.m. each day, thanks to the sponsorship of Main Street Holly. FREE parking on-site. Advance tickets for the performances are $10.00 for Adults and $7.00 for Children ages 2 – 12 and Seniors aged 65 and over. Toddlers under the age of two are free. Ticket prices will increase the day of the Circus. Buy yours early to save money! The circus is under new management and will NOT have any animal acts – only human acts. Acrobats, jugglers, trapeze acts, fire breathers, and SO much more! Enjoying a day at the Circus means a lot more than just old-fashioned family fun. The event is a fundraiser for Holly Main Street; proceeds will go toward funding the fireworks show which will take place Saturday, September 8th during HollyDays. We hope to see you ‘under the big top’! Lot at the corner of N. Holly Rd. & Quick Rd.